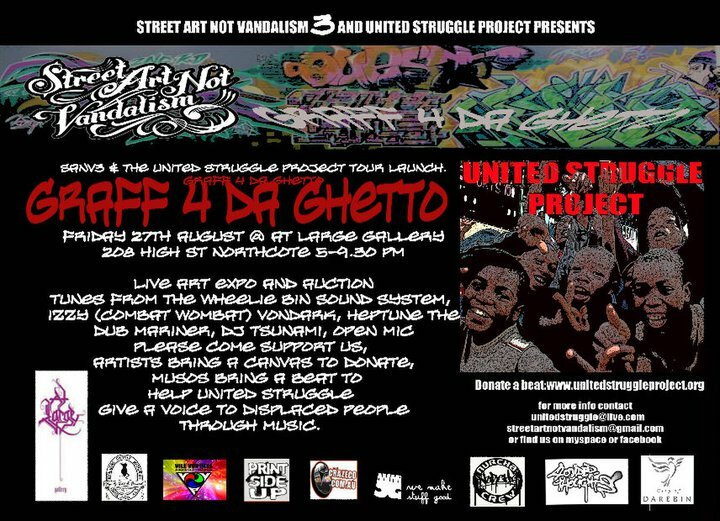 Another STREET ART NOT VANDALISM (SANV) event is upon us. 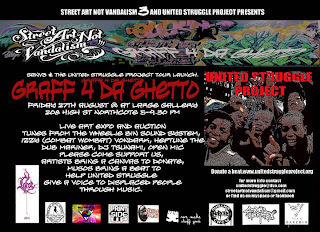 This time they are taking hip hop culture to AT LARGE GALLERY in Northcote, with graff, DJing, open mic & performances from IZZY of COMBAT WOMBAT, HEPTUNE THE DUB MARINER and DJ TSUNAMI. If your in Melbourne make sure you go to this event and show your support for the local scene and enjoy an evening of good vibes, art, culture & company. Here's a new clip we put together of Melbourne underground hip hop group, ANON SPEAK, performing at SANV2 in October 2009 at Reservoir Skatepark. These guys are awesome live.